So I jumped the gun. The fermentation had finished. Just conditioning sitting on the lees. I bottled after a cold crash to 40F to drop some of the yeast. Henceforth, these shall be called White (Batch A), Green (Batch B) and Blue (Batch C), well after this post. That is the color of the crowns I used on the 12 ounce bottles to designate batches. 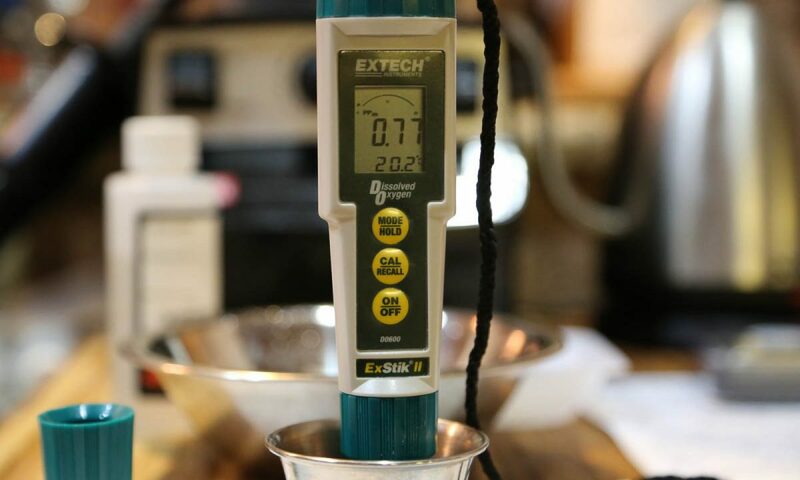 Each batch was carefully racked into a sanitized bottling bucket, and onto 1/2 cup of priming sugar (1/2 cup boiling, 1.2 ounces of corn sugar – should yield a 3 volumes of CO2), and carefully stirred to ensure good mixing. Then, I bottled. Some observations below. Batch A and Batch C were very different – the half pitch was clearing nicely. The double pitch has a lot of sediment in suspension, despite the chill down to 40F. 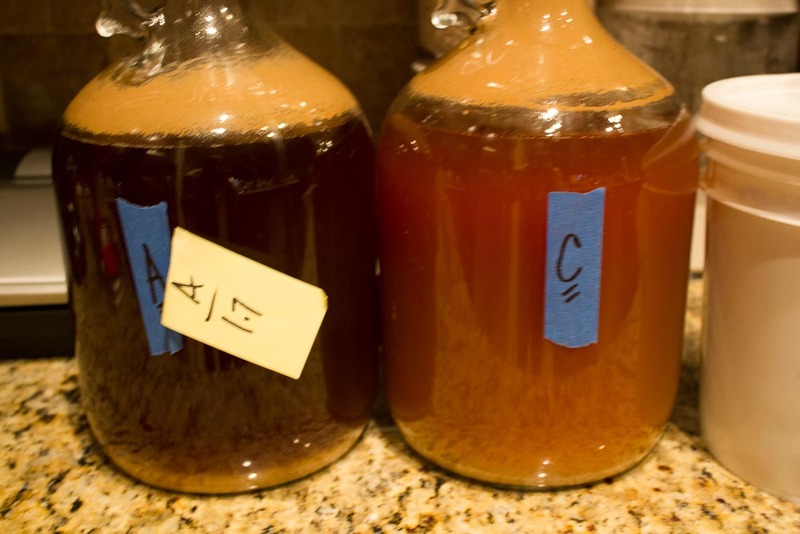 Batch A and C had about the same amount of visible trub, despite C being much cloudier. I suspect a week in cold crash and C would have a lot more. So these are going into the dark to carb and condition for a couple of weeks. Remember the goal here is to evaluate the differences between the beers, not necessarily make a great beer. I was not overwhelmed with the little taste I snuck, and I expect there to be some very telling difference in the lees in the bottle, as well as the nose and taste in the glass. Now I need to start recruiting some willing bodies with some sensory training to see their takes on the different beers.